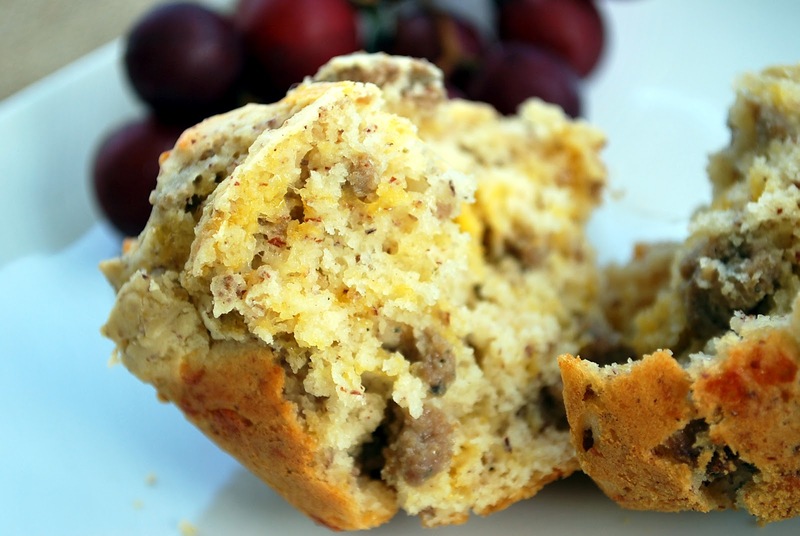 These fluffy, savory muffins are great for breakfast or an after-school snack. I also like to serve these with my Crustless Spinach Quiche recipe. Preheat oven to 350 degrees. Brown ground sausage, crumble and set aside to cool. Combine all ingredients in a large bowl, adding in sausage and stir until thoroughly mixed. Scoop mixture into greased muffin tins filling to the top. Bake at 350 degrees for 20 minutes or until tops are lightly golden. Makes 14 large muffins. Brown ground sausage, crumble and set aside to cool. Combine all ingredients in a large bowl, adding in sausage and stir until thoroughly mixed. Scoop mixture into greased muffin tins filling to the top. Bake at 350 degrees for 20 minutes or until tops are lightly golden. 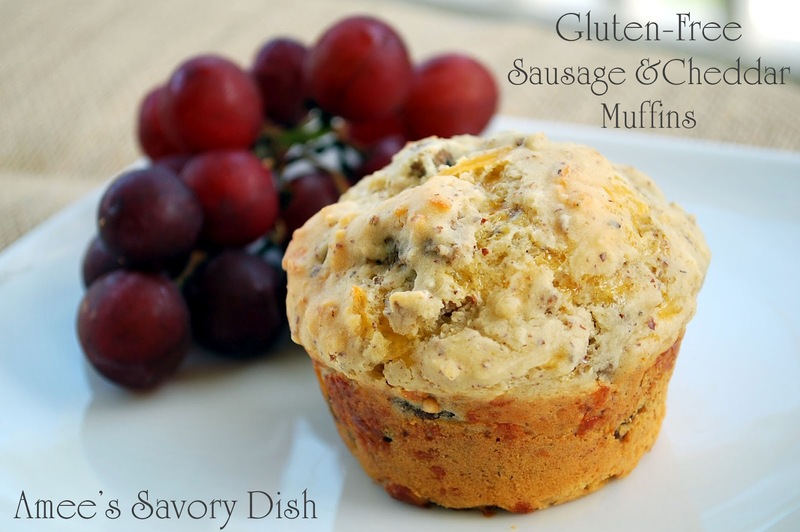 I love the looks of this muffin, and would be a quick breakfast treat. Thank you for sharing at Foodie Friends Friday. I am now going to send this to Pinterest….HA! Have a great weekend. Now that I am finding more gluten free recipes… I am thinking I should try and cut out gluten again in my diet. Thanks for sharing on Foodie Friends Friday and remember to come and vote on Sunday.